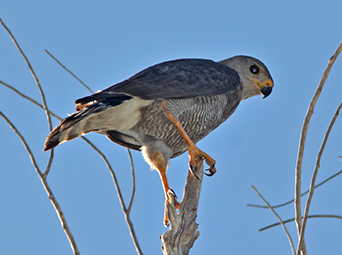 RAVENS-WAY WILD JOURNEYS is strategically located within a region known as the “Sky Islands” – rightly famed as a biological crossroads and biodiversity hotspot. The term “Sky Islands” derives from our numerous lofty and isolated mountain ranges, punctuating an overall flatter landscape. Thus, moist forested mountain “islands” are separated not by water but by “seas” of drier and intervening deserts and grasslands. The isolating effect of these more foreboding habitats is palpable and evident to a keen observer. 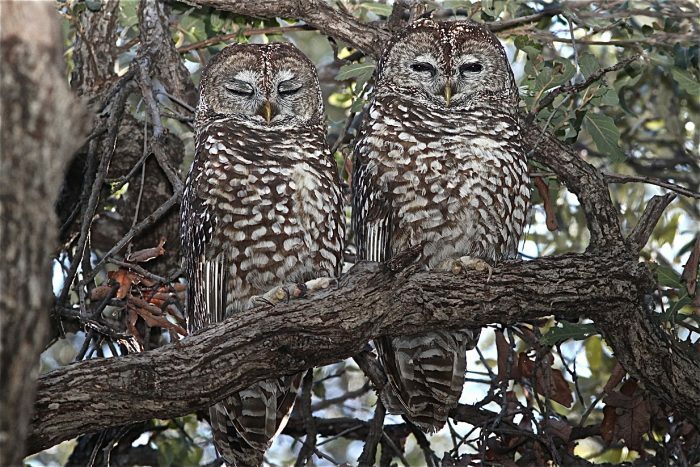 Within a relatively small distance you can encounter wildlife, including birds, that varies more than in any comparable area in the U.S. The Sky Islands are situated at a biological convergence zone where a variety of disparate biomes meet – each lending their respective diversity to the region. 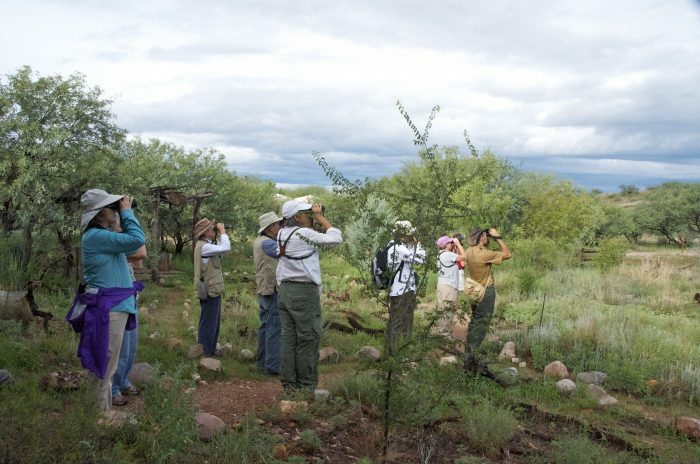 Here the temperate Rocky Mountains meet the subtropical Sierra Madres and Tropical Thornscrub of Mexico. Also, the higher, cooler Chihuahuan Desert converges with the warmer, lower Sonoran Desert. Even the Great Plains exert an influence upon the Sky Islands. 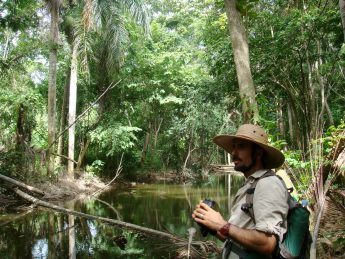 The meeting of these diverse biomes combined with a relatively low latitude (around 32 degrees – similar to North Africa) and a great range of elevations results in a phenomenal mix of flora and fauna! 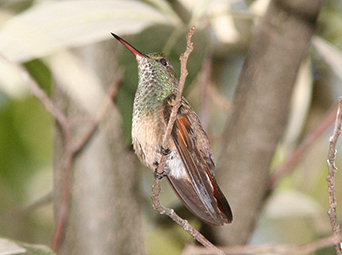 Bird diversity in particular is extraordinary, as you will see, and includes many unique and regional species. 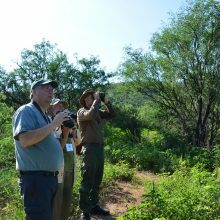 Reptile, Mammal, Invertebrate, and Plant diversities are correspondingly high as well, making for great overall wildlife and Nature viewing. 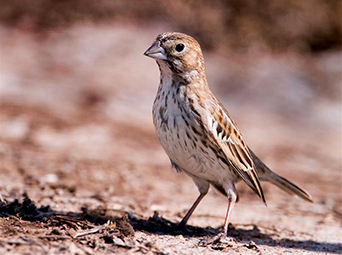 Over half of the bird species found in North America have been recorded the U.S. portion of the Sky Islands! 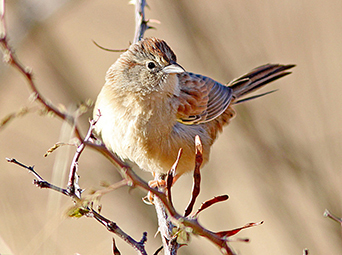 Indeed, some of the most sought-after birds in North America are found in southeast Arizona. 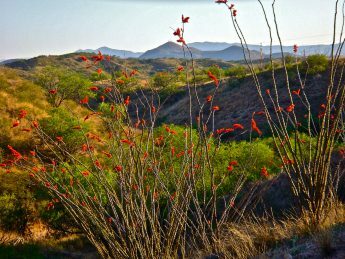 Many of these are dubbed “Mexican Specialties, as they barely make it into Arizona’s Sky Islands from Mexico and are normally found no further north. 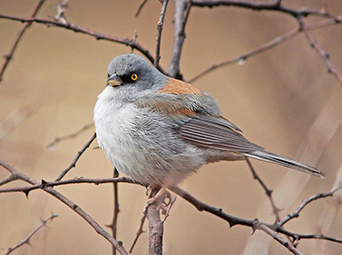 ~36 species of Sparrows & Towhees – the most in the world! 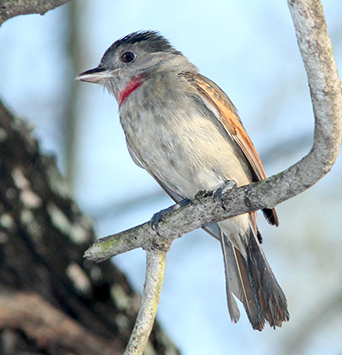 While traveling from one Sky Island range or valley to another on a Sky Islands Birding Hotspots Tour with us you may expect an overlapping, yet different bird list for each place. 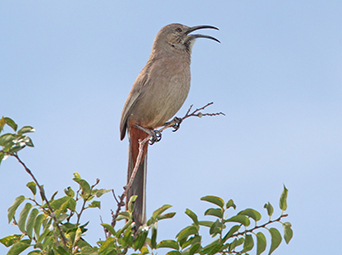 For example, Cactus Wrens Crissal Thrashers, and Roadrunners make a living in the drier zones while Elegant Trogons, Painted Redstarts, and Flammulated Owls lurk in the forested canyons and woodlands of the mountains. 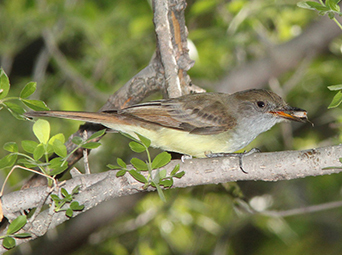 Further, some bird species “lean” east or west, north or south within southeast Arizona, adding local diversity to an already wonderfully bird-laden place! 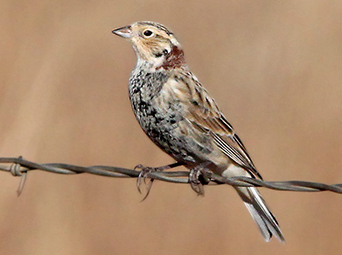 Significantly, from the east the Great Plains sweep into the area, providing a number of bird species, such as wintering Longspurs, post-breeding Lark Buntings, and breeding Grasshopper Sparrows – all characteristic of grasslands. A trip to our scenic grasslands may seem like a journey to the distant prairies of the Central U.S.! In fact the musical Oklahoma! with its lush, sweeping vistas was filmed only a short drive from Raven’s Nest Nature Sanctuary! 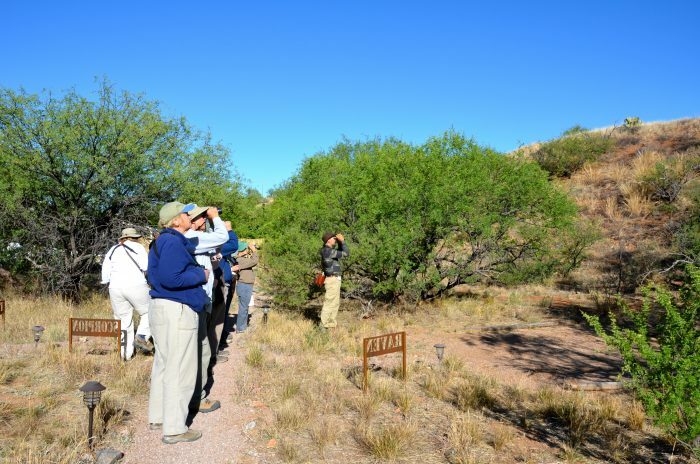 Nearby northern Chihuahua even boasts a reintroduced herd of American Bison as well as large colonies of Black-tailed Prairie Dogs! 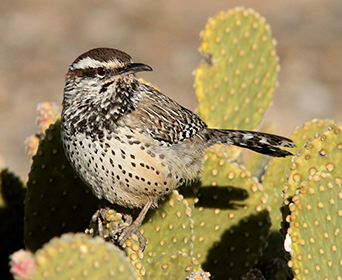 The Chihuahuan Desert similarly skirts the eastern edge of the Sky Islands, providing a characteristic flora and fauna – especially in the easternmost ranges, such as the Peloncillos and Chiricahuas. 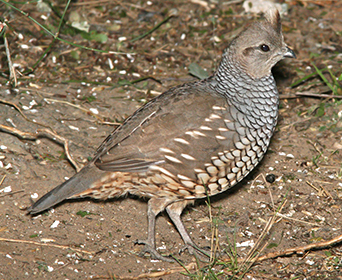 Scaled Quail, for example, can be found in our area owing to this connectivity with the Chihuahuan Desert. 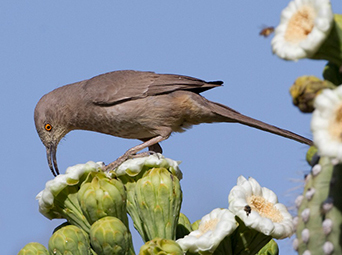 Rivaling the beauty and surpassing the overall biodiversity of this higher, cooler desert is the lower, hotter, and subtropical Sonoran Desert to the west. 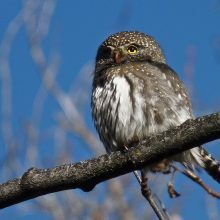 Here, LeConte’s Thrashers, Gila Woodpeckers, Ferruginous Pygmy Owls, and Elf Owls take good advantage of the rich plant species assemblages in this incredibly diverse desert. A variety of birds nest in the spectacular Giant Saguaro, so characteristic of many Sonoran Desert scenes. Meanwhile, the Rocky Mountains trickle their decidedly temperate influence down from the North. 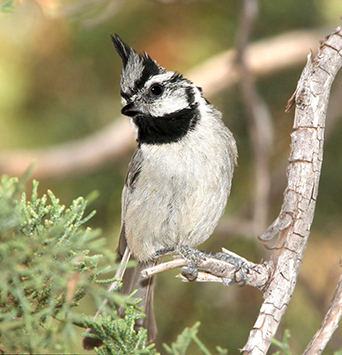 Thus, one can find Mountain Chickadees in the Pinaleno Mountains or, occasionally, Clark’s Nutcrackers in the Chiricahuas. Towering Spruce-Fir Forests in particular harbor many north temperate bird species, including Red Crossbills and Red-breasted Nuthatches. Standing in these majestic coniferous forests, the scenery seems more reminiscent of Canada than of Arizona! 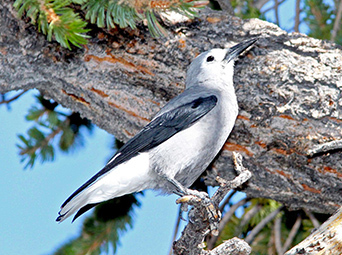 These seemingly enigmatic forests are the perfect place for a cool Summer birding trip or a wintry wonderland during the cooler months. 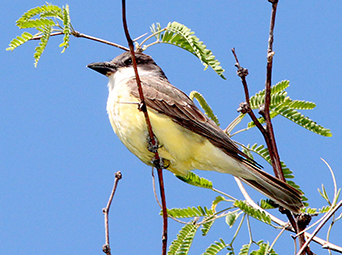 Finally, and perhaps most significantly for the bird enthusiast, are the 2 southern biome influences that permeate the Sky Islands from Mexico. 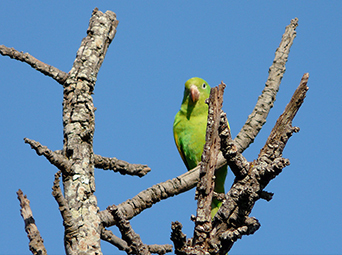 The Tropical Deciduous Forests of Sonora are but a day’s trip south of the border, where such flamboyant bird species as Russet-colored Motmot and Blue-Winged Parrotlet make their home. The colonial town of Alamos is a wonderful place to visit this northernmost extension of the Neotropics. To the east loom the Sierra Madre Mountains, where many exotic bird species inhabit the multi-varied habitats stacked upon this extensive cordillera. 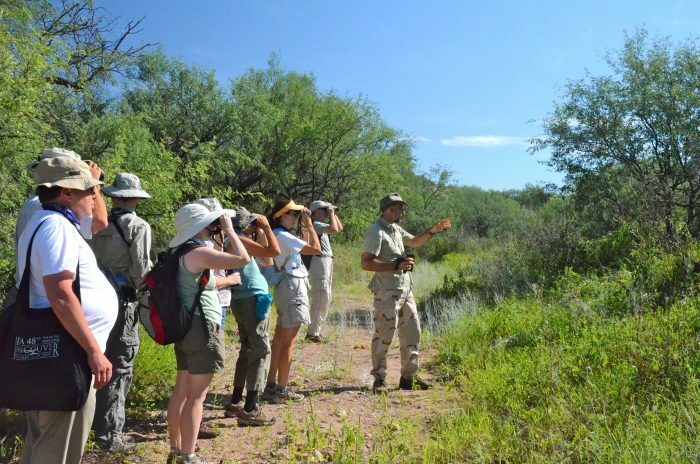 A journey from the rim of famous Copper Canyon to the bottom – deeper than the Grand Canyon – transports you from Fir and Pine Forest down to Palm-lined canyons replete with Military Macaws and huge Morpho Butterflies! 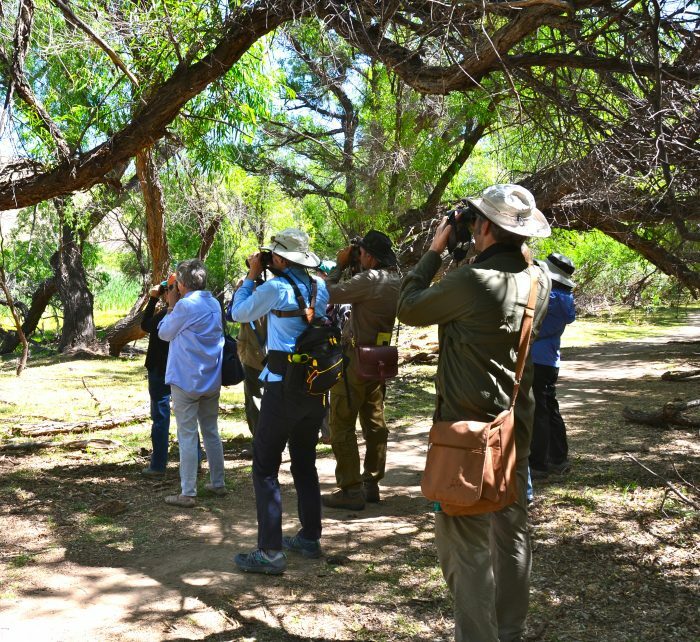 Vincent began his Sky Islands birding career during a Master’s level study of the state-endangered Gould’s Wild Turkey (the largest subspecies) in the rugged Peloncillo Mountains, straddling New Mexico, Arizona, and Mexico. It was 1987 and he soon fell in love with the Sky Islands. 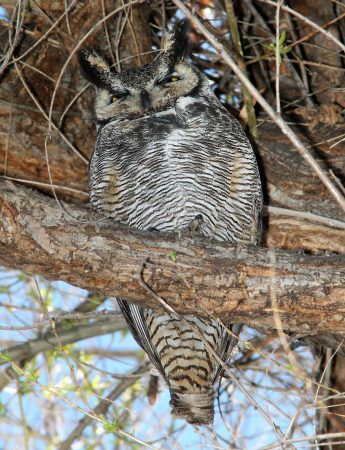 Despite several sojourns as a Naturalist and Wildlife Biologist elsewhere in the states, he quickly returned to southeast Arizona, purchasing Raven’s Mountain Nature Sanctuary in 1993. 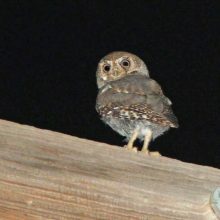 In addition to teaching for a variety of education institutions in the Southwest, Vincent also felt privileged to study both Mexican Spotted Owls and Southwestern Willow Flycatchers, adding to his already extensive birding knowledge. 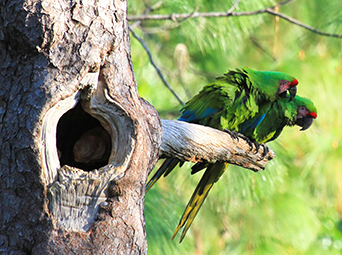 Raven’s Nest, our 42-acre Nature and Wildlife Sanctuary, is well situated for birdwatching within the Sky Islands region. 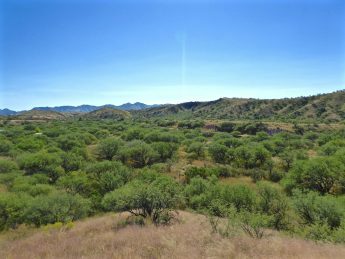 We’re located only 75 minutes from Tucson with spectacular scenic views of the Sky Islands and Mexican Mountains from at and near the preserve. 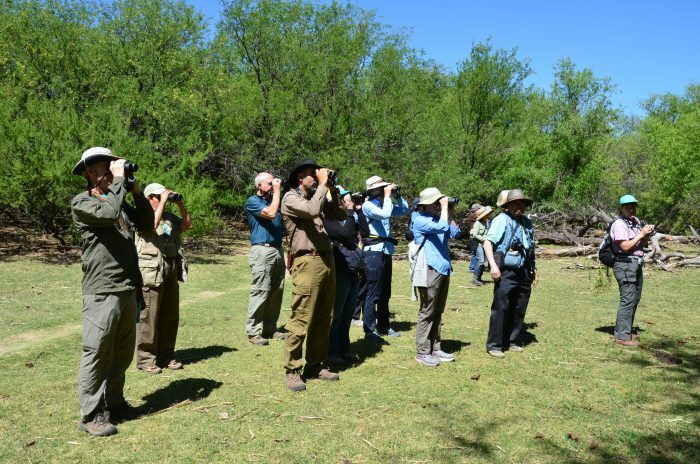 At Raven’s Nest Nature Sanctuary we have been thrilled to welcome over the years all the local Birding Festivals to our Eco-Lodge for a very satisfying birding experience. 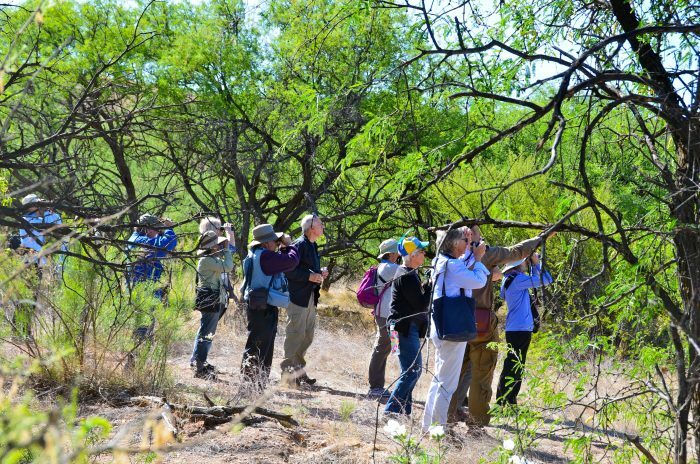 Vincent leads groups from the Southwest Wings Spring Fling and Summer Festivals as well as the Tucson Audubon Birding & Nature Festival to Raven’s Nest in a very rewarding yearly partnership. 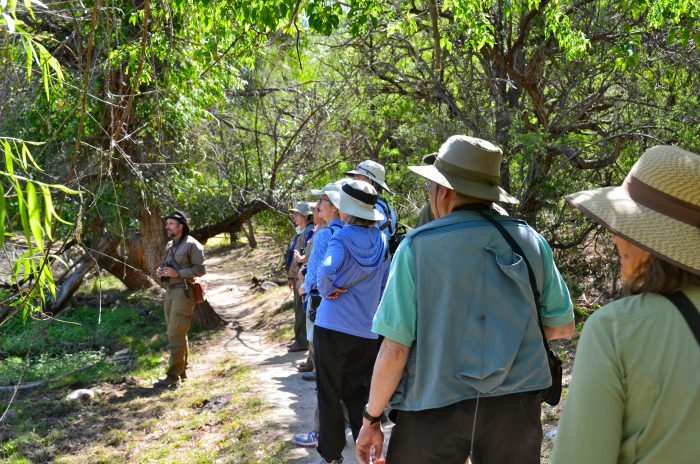 Sharing our Nature Sanctuary with organizations with which we share common goals continues to be a RWWJ priority. 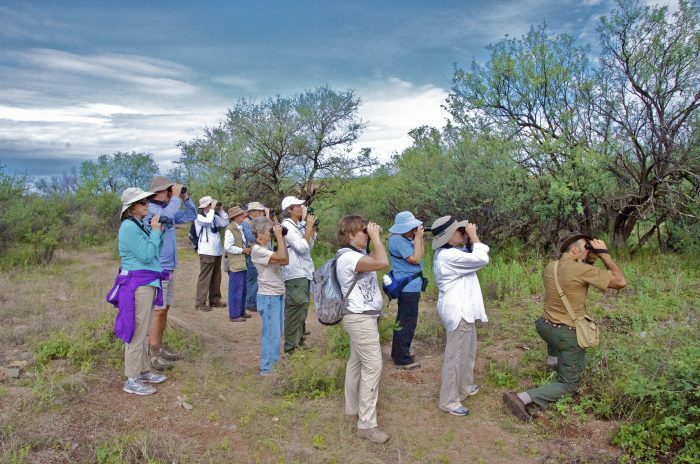 We are committed to exposing as many birders as possible to our unique Sky Islands Biodiversity. Always passionate about our Education & Conservation Mission, we share a message of protection and preservation to all our visitors and guests. 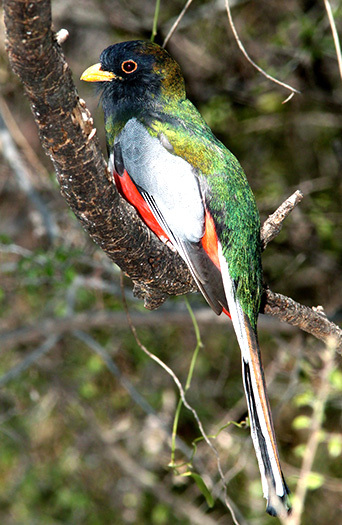 Why miss out on such stunning biodiversity? 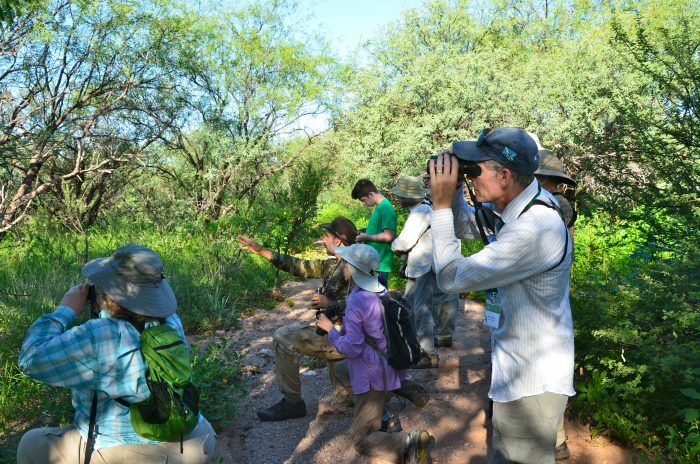 A birding trip with a knowledgeable and well-rounded Naturalist, such a Vincent, is far more than just identifying birds! 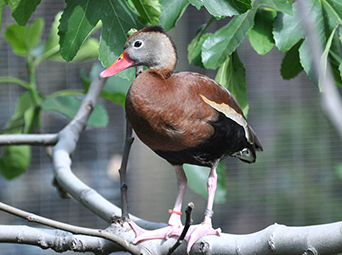 Bird sightings are accompanied by Vincent’s observations on the behavior, habitat preferences, and other natural history facts about each species encountered. 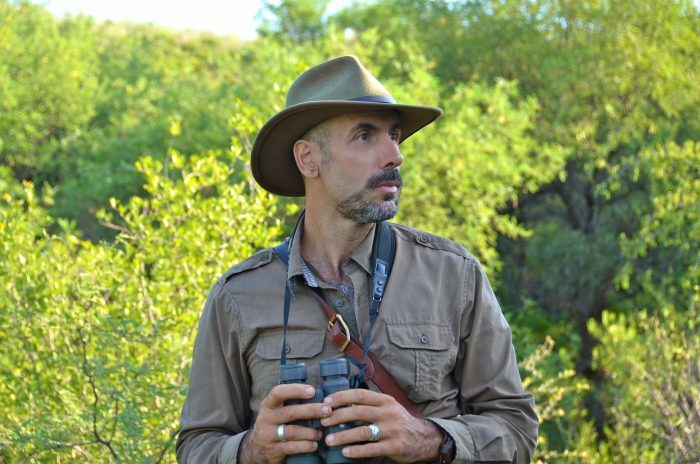 Vincent will help you to identify birds by both sight and sound during your Birding Adventure. 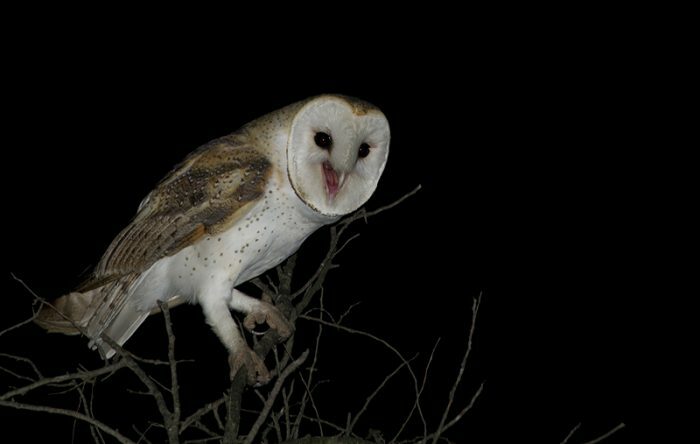 In addition to daytime birding adventures we also custom-make otherworldly “Owl Prowls”, searching for some of our area’s nocturnal denizens. 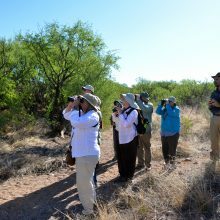 No prior bird-watching experience is needed, so join us as we roam the deserts, grasslands, and forests in search of these winged wonders! 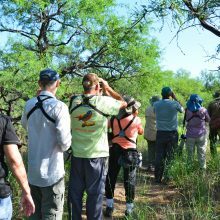 Our Bird Guiding Rates are designed to fit your budget and to provide you with the most value and enjoyment during your Birding Adventure. 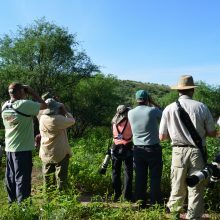 If you are a return client or have been to our area before and have a Target Species List, then of course that can be the main focus of your Birding Adventure. 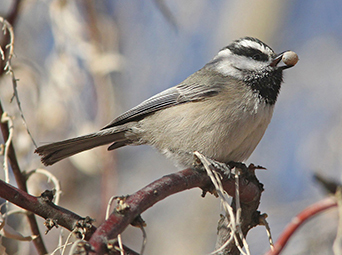 In lieu of or in addition to this, Vincent can also custom-make an itinerary best suited to your birding level, physical capabilities, and your every whim. 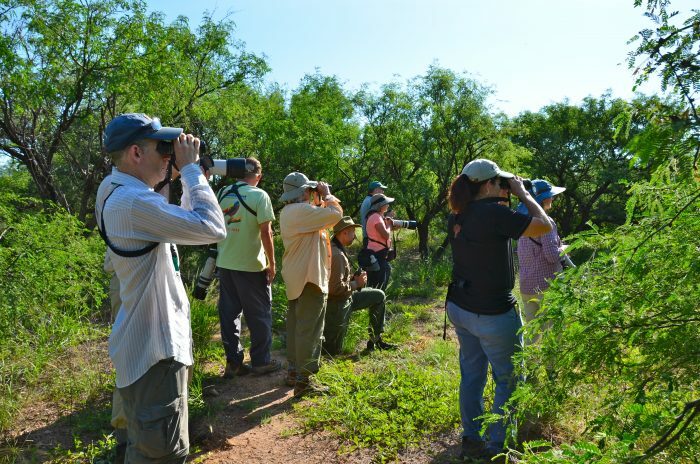 After all, this is your chance to have a fun and memorable birding experience that is perfect for you! 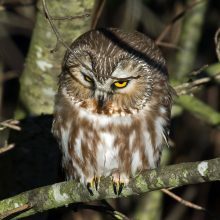 At RAVENS-WAY WILD JOURNEYS we would love to help you plan a rewarding and productive Birding Adventure with us! 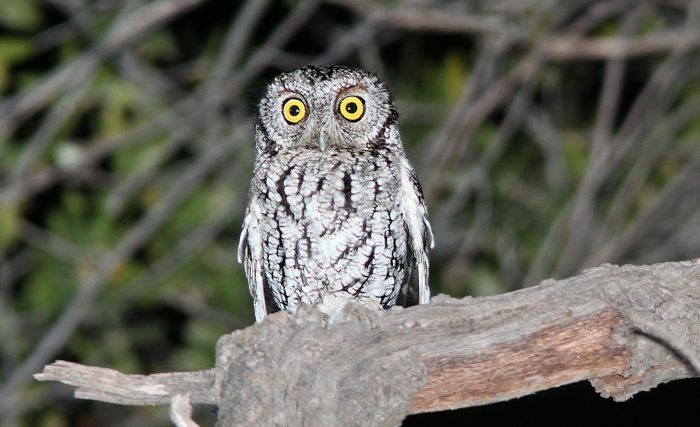 If you are an experienced birder, then we can be your guide to some of most spectacular species you’ll ever find. We can choose the best locations given the season, and custom-make an itinerary that will best suit your wants, desires, and goals. Give us your target birds and we’ll help you to find them. Many people significantly add to their life list when they visit us! 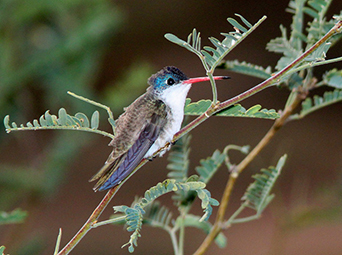 Our Birding Rates for couples include transportation in a 2017 Totota 4Runner TRD Off-Road – a very comfortable and new vehicle to ensure your comfort during your Birding adventure. There are no mileage fees associated with any of our trips, as long as they are within a reasonable distance from our Nature Sanctuary. If you have your own vehicle or a rental car, then Vincent generally sits up front, exercising his role as your tour guide. Longer trips, such as to Arizona’s White Mountains or to the Grand Canyon, can also be arranged. Binocular rentals can also be arranged. While tipping is never expected, it is of course always appreciated as you may see fit. Discount rates for 3 full days days or more can be arranged. 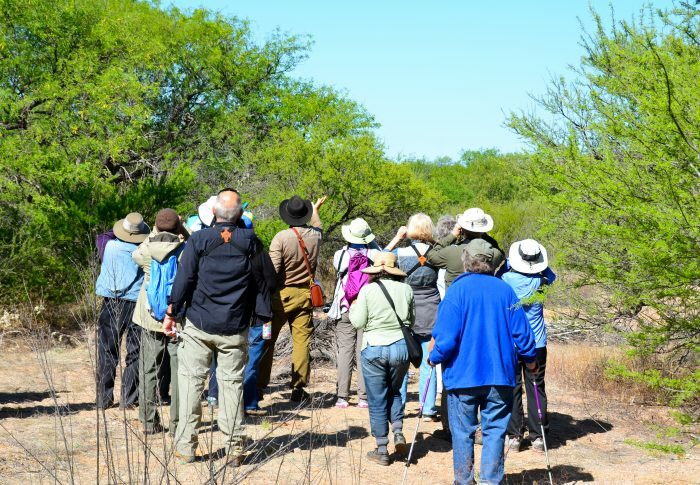 Pre-scouting of local birding destinations in your itinerary – typically Vincent spends the same amount of time scouting your birding destinations as you do birding them! 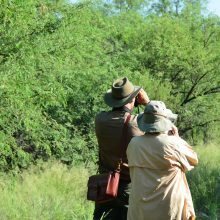 This helps to ensure that you’ll find more birds, including the target species list that you desire to see, as well as rare birds. Healthy & hearty bag lunch is included only in full-day rates! 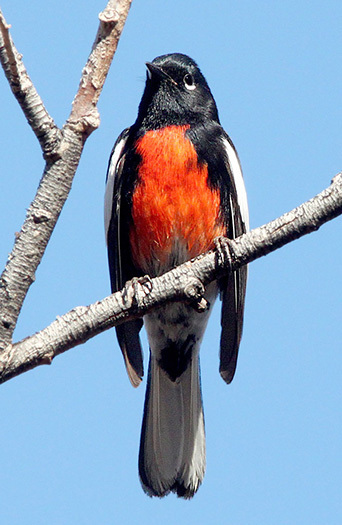 Vincent will carry several bird and other field guides for your use during your Birding Adventure. 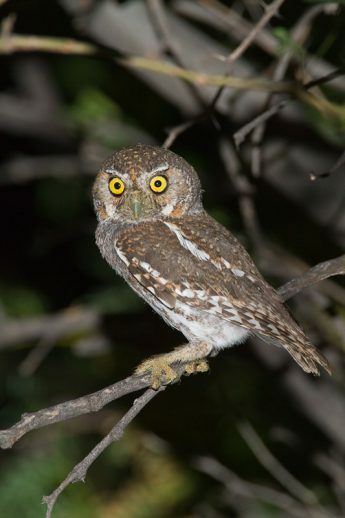 Vincent frequently takes photos of the locations and wildlife that you’ll enjoy during your trip, he will happily send some along to you at your request upon the conclusion of your trip. 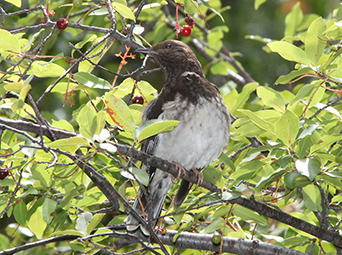 If you are a beginning to intermediate birder, then we can help you to build your skills while enjoying some of the most sought after species on the North American continent. 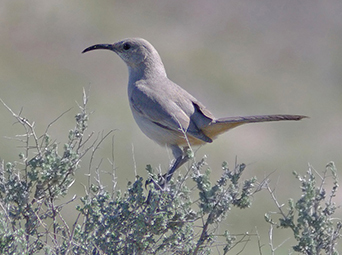 Regardless of your skill level, you can also choose to do some backcountry birding where we set up a base camp for several days and do day trips, seeing a wide range of species. 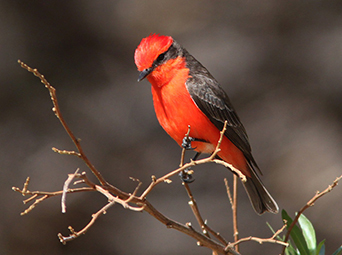 Just e-mail or call us and we’ll help you plan your birding trip. 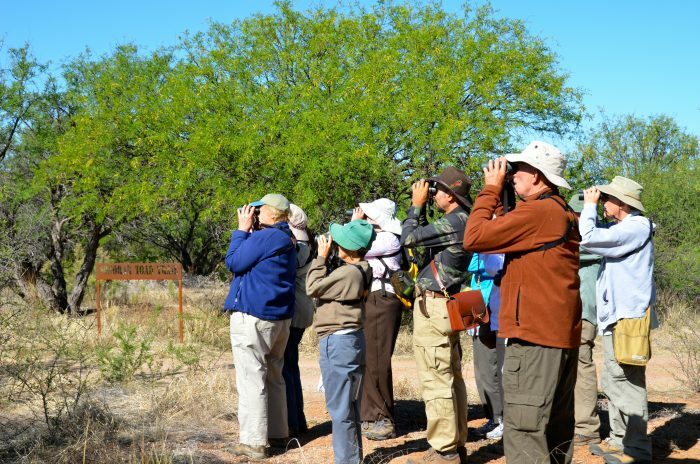 During your birding adventure you may enjoy staying at Raven’s Nest Nature Sanctuary, where you’ll be able to see a wide variety of birds and other wildlife on our private, 42-acre Wildlife Preserve. If you have comfort and luxury in mind, then come to our African-style Safari Tented Camp CLICK HERE. Modeled after our own experiences in the remote wilds of Botswana, here you’ll have all the comforts of home, while entirely surrounded by the beauty and tranquility of Nature. 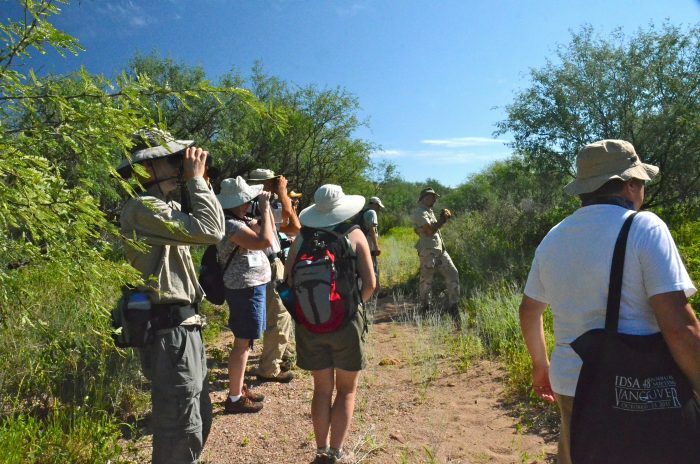 Miles of secluded Nature Trails meander through dense Mesquite Woodlands and lush native Grasslands, presenting wonderful opportunities to encounter a diversity of unique birds and other wildlife. For those who don’t mind going a bit more austere, you also have the option of staying in our Main Camp either in a beautiful canvas Expedition Tent or in a spacious Conventional Tent. Here the basic amenities are provided in the same beautiful setting as our Safari Camp. You may provide your own conventional tent or rent one from us. 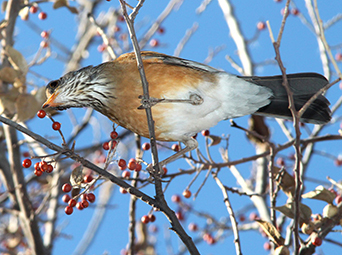 Nearby to Raven’s Nest Nature Sanctuary are a host of incredible birding destinations sure to wet your appetite to explore. 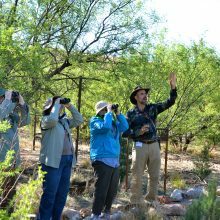 Five minutes from us Patagonia Lake State Park often harbors rare and unexpected aquatic species, as well as a wide range of Mexican Specialties. 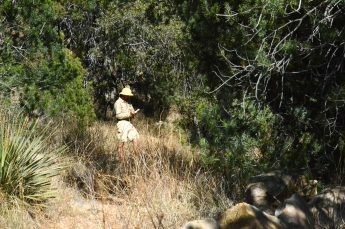 Adjoining Sonoita Creek State Natural Area – a short walk from Raven’s Nest – presents a more remote wilderness of 9000 acres for those who enjoy trekking in solitude. 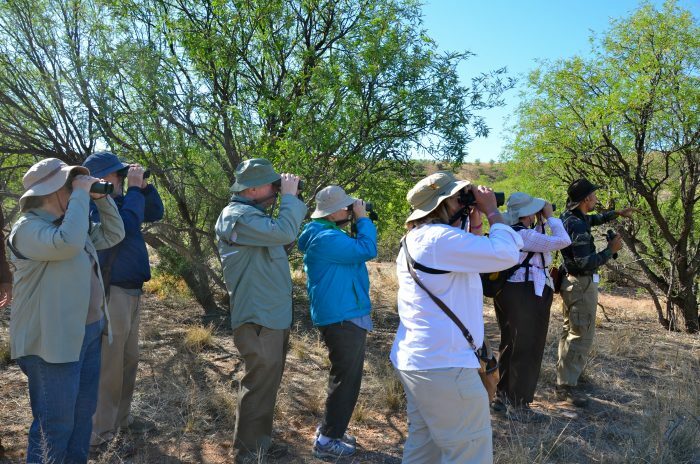 A wide range of other birding options – both near and far – help to make your experience a diverse and memorable one! 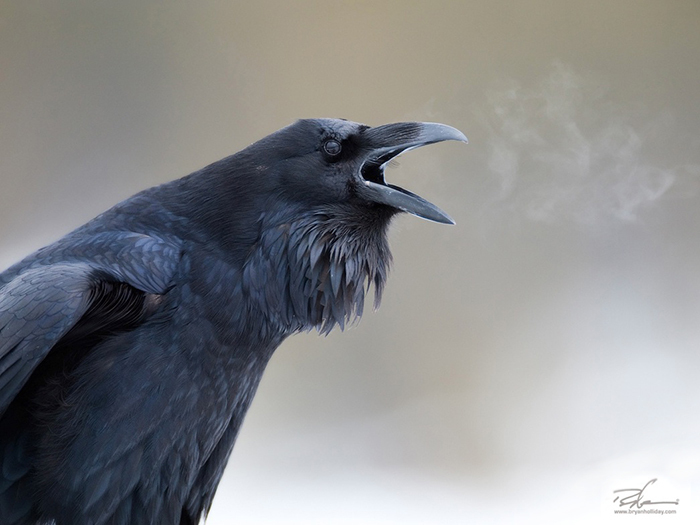 We would like to thank Alan Schmierer, our neighbor and bird photographer extraordinaire for sharing his beautiful Bird photos and Bryan Holliday for sharing his spectacular Raven photo.